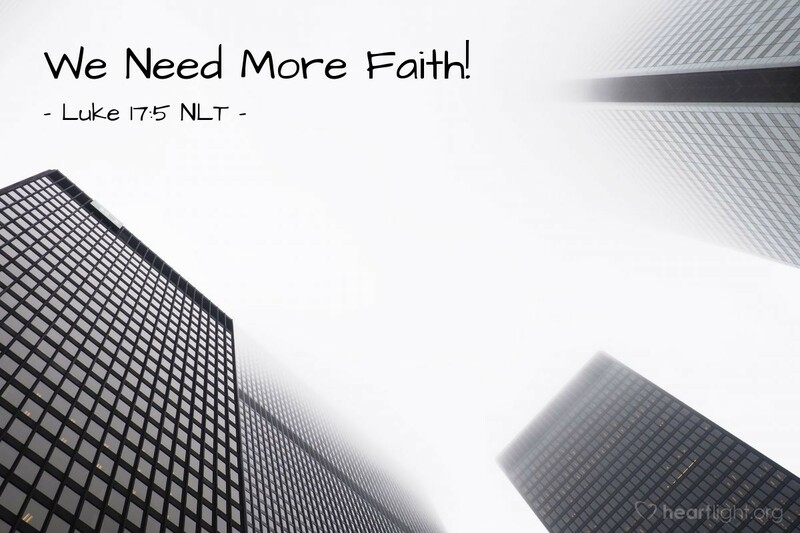 The apostles said to the Lord (Jesus), "Give us more faith!" How refreshing! The disciples are amazingly honest. "We need more faith!" I've been there; haven't you? They want more. They want to know how to acquire more faith. So what do they do? They ask Jesus! Why don't we? Dear Father, please increase my faith! I know faith is the doorway through which so many of your great movements of grace come. Please bless me with more faith, not for my glory, but for yours. In Jesus' name. Amen.